Foto: We don't vaccinate! & Michael Leitner. With kindly permission. The first 36 mins. for free, complete film on DVD buy here or here or $3 for video on demand. A comprehensive protection from dangerous diseases? Vaccinations are classed as the best protection against „infectious“ diseases modern medicine has to offer, but is increasing evidence showing that the risk from vaccines are far greater than the dangers from the diseases vaccinations are supposed to protect us from. This is particularly noticeable in children. In Germany for example, the number of vaccine doses within the first year of life has risen from 6 to 34 since 1976! Rather the same in the USA: 1983: 5 vaccines, now 26! Parallel to this, there has been a huge increase in the incidence of chronic illnesses in children, among them rheumatism and cancer, but mainly allergies, susceptibility to infections and neurological disorders such as AD(H)D and autism. This situation has come about due to the toxic substances in vaccines, such as aluminium compounds. In proportion to body weight, the vaccines for babies contain 23 times as much aluminium as a vaccine for adults! WE DON’T VACCINATE! First 36 min.s for free AVAILABLE FOR FREE (½ DVD- resolution): https://vimeo.com/126792405. Donate the movie via PayPal. Trailer no. 1: POISONED INNOCENCE? First trailer of the documentary WE DON'T VACCINATE! A comprehensive protection from dangerous diseases? Vaccinations are classed as the best protection that modern medicine has to offer. But there is increasing proof and indications that show that the dangers from which the vaccinations are supposed to protect us from, are totally disproportionate to the vaccines side effects. This is particularly noticeable in children. In Germany for example, the number of vaccine doses within the first year of life has risen from 6 to 34 since 1976! Parallel to this, the number of chronic illnesses in children exploded. Amongst those are: rheumatism and cancer, but mainly allergies, susceptibility to infections and behavior manifestations such as AD(H)D.
The cause of this is the additional substances in vaccines, mainly aluminium compounds. In proportion to body weight, the vaccines for babies contain 23 times as much aluminium as a vaccine for adults! The film shows that there is a vast amount of deceit happening around vaccinations, starting with the initial release of a vaccine right through to dealing with vaccination damage. A complete vaccination pass is not key to your health, but a natural growing up with good water and healthy food, is. PRO-VAXXERS claim that vaccination programs have eliminated all vaccine-preventable infectious diseases. Can this opinion be confirmed by official statistics? Watch this excerpt from the German documentary "WE DON'T VACCINATE" and listen to "what the doctor says". Rent movie in HD/1080p for US$ 3. Photo: Michael Leitner. With kindly permission. 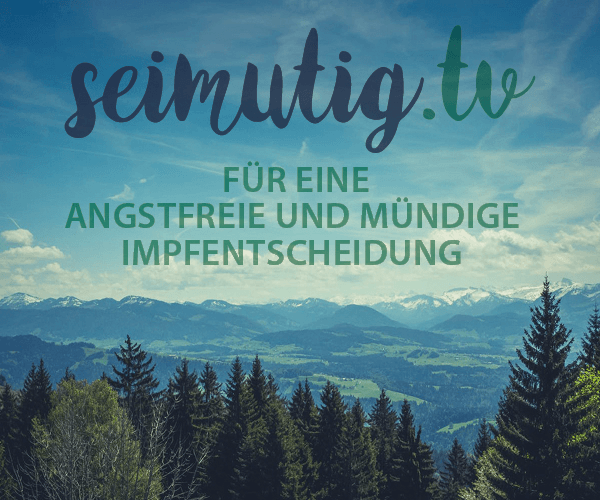 The essence of 30 years research of the German anti vaccination movement in one video! Replaces a whole library of hard-to-find specialist literature! The original German bestseller DVD was pre-financed by concerned and informed, waked up parents. Sold over 20,000 times in Germany from summer to winter 2014 - without any PR budget! Photo: We don't vaccinate! & Michael Leitner. With kindly permission. Photos: We don't vaccinate! & Michael Leitner. With kindly permission. I want to say that in my 20 years of the vaccine battle and the many many documentaries I have watched this is one of the most superior!! There is no middle ground of "But vaccines are safe" that many american videos do. We Don't Vaccinate is taking every single myth and 100 years of vaccine medical brainwashing done and addressing it. I hope when this is eventually put out there I can openly share this. Incredible job! “We Don’t Vaccinate” is a sensitive, expressive and discerning documentary. Rivetingly factual, it stays solely on the vaccine track tackling the contemporary vaccine issue like no other film before it. Out of Germany, the originating homeland of Merck & GlaxoSmithKline, Michael Leitner’s documentary, “We Don’t Vaccinate” deserves a widespread worldwide audience so that the mass hypnosis which allows these pharmaceutical companies to commit crimes against humanity can finally come to an end. „(…) The subject of vaccination is enormous - this film highlights some of the main concerns which should lead the viewer to delve into the subject further and open their eyes to the true reality of this so-called 'scientific' procedure. - Magda Taylor, Director of The Informed Parent, UK. Spread and share to save our children!